Bolivia is one of those countries that frustrates you into loving it. Given enough time, its quirkiness is what makes you keep coming back for more. As the second poorest country in Latin America, an adventurous spirit is a must, even if you enjoy a very high standard of living. Certain necessities like road infrastructure, public transport and traffic safety are not the best and the supply of gasoline and natural gas (used by almost everyone for cooking) can be unreliable at times. Lately politics have been rather volatile. Bolivia is like two countries in one, both physically and culturally. The differences are so noticeable it’s just not possible to describe the country as a whole. West-Central Andean Bolivia (with its primarily Spanish, Quechua and Aymara population) was the country’s center of wealth for over 400 years but has taken a slight downturn. Still, it is culturally and historically rich. Many foreigners enjoy the comfortable moderate climate of Cochabamba (population 600,000), which is most often compared to Cuenca, Ecuador in terms of altitude, climate, architecture, and culture. Expats here tend to mix quite well with the locals and ‘adopt’ an upper to middle class Bolivian lifestyle. Many stay and marry Bolivians, making ‘Cocha’ their second home. You’ll find that in La Paz too, but La Paz is more ‘international’ with large and very active (and much more temporary or mobile) expat communities that, with the exception of aid workers and missionaries, often don’t make great attempts to mix with the locals. You must take the extreme altitude of La Paz, the world’s highest capital city, into account. At nearly 14,000 feet a.s.l. (twice as high as Denver), it’s not for those who have weak hearts or respiratory problems. Most countries send their diplomatic personnel to La Paz (the seat of government) and there are many missionaries, international NGOs and volunteer organizations because of the high degree of poverty among the indigenous class. In these two major cities expats live very well, often with a higher living standard than they would in their countries of origin. There are several very large residential neighborhoods that cater to foreigners and the Bolivian upper class with modern schools, churches, shopping malls, supermarkets, country clubs, restaurants and very lively night life. 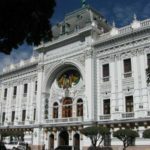 There are many affordable and good quality private Bolivian schools (for those who want their children to learn Spanish) as well as American, British and German international schools (expensive at $150 to $500 per month and an initial one-time membership fee of several thousand dollars, but they conform to US and European school years and standards). 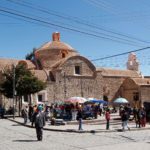 Both cities, and most smaller cities, such as Sucre (Bolivia’s capital), you can’t escape the colonial architecture and dozens of ornate cathedrals, cobblestone streets, and colorful open markets. There is very little zoning and you’ll easily find large mansions mixed in with smaller homes, or surrounded by family-run stores and restaurants, street vendors, and noisy night clubs. Eastern Bolivia (the lowlands) is for those who enjoy hot (often humid) weather, lots of open space, and a laid back lifestyle. This region went from being completely ignored and having almost no infrastructure for over 400 years to being the nation’s economic center (but only has been for about 12 years) and Santa Cruz (population 1.6 million) just recently became the largest city in the country. 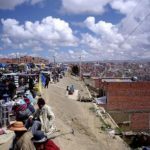 Its growth is fueled by mass immigration from the West and massive oil and gas fields that are Bolivia’s main source of income for the moment. This one state alone contributes nearly 40% of the GNP. The problem lies in that its economy is supporting most of the rest of the nation and with what remains it can’t maintain or build new infrastructure fast enough to keep up with its own growth. Younger foreigners and their children tend to thrive here. There are large American, British, German, Dutch, and Japanese expat communities here as well as thousands of Mennonite families. Santa Cruz has more private schools and universities per capita than any other city (most built during the past 12 years). There are several all-English schools here. Many expats mix quite well with the local culture. Because it is warm 9-10 months of the year, most of the population spends a lot of time outdoors and the city is filled with sidewalk cafés, open-air restaurants and great night clubs. 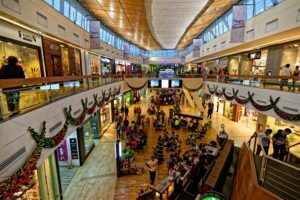 There are numerous open markets and supermarkets, shopping malls, country clubs and import stores. 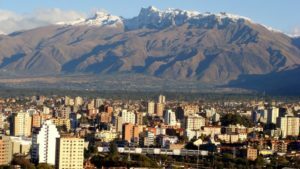 Most families find it fairly easy to live and work here (although rental costs are just slightly lower than in the U.S.) and the locals from Beni to Santa Cruz to Tarija tend to be very hospitable. The international communities are mostly linked to business and agencies for cooperation. Culturally Eastern Bolivia is different from the Andean West in that the Aymara and Quechua population is immigrant and not native to the region. There are over 20 different indigenous groups here, each with its own language and most are Amazonic. The Guaraní are the largest of these (see the movie The Mission – Jeremy Irons, Robert DeNiro). 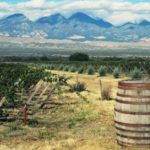 There are great little towns like Samaipata (2 hours from the city of Santa Cruz), and smaller cities like Tarija (Bolivia’s wine country and flower capital) that attract lots of long-stay foreigners and large groups of expat retirees. There is a lot of tropical wilderness to explore here and most tourism is eco or adventure tourism. You can easily take weekend trips or day trips to the dozens of surrounding communities, each with its own culture and attractions. Aspects you have to take into special consideration and research thoroughly before you move here include the altitude in the West, fairly high rental costs if you want the standard you are accustomed to, and expensive international schools. You also have to consider your health as medical care is severely lacking throughout the entire country. Even with great long-term international medical insurance some meds and technology are just not available. If you plan to live and work here, you cannot arrive on a tourist visa and later request residency. It’s fairly easy to set up a business here, but very difficult to find a job if you move here without a contract. There is no one place in Bolivia where you won’t soon see severe poverty. Currently the political situation has taken a downturn and there is no tolerance for foreigners who get politically involved, Americans in particular. The food is great and you could learn a new recipe each week for the rest of your life. If you can’t tolerate disorderly traffic you’ll be doing a lot of walking. For a Travel Reference Map of Bolivia, click on HERE.